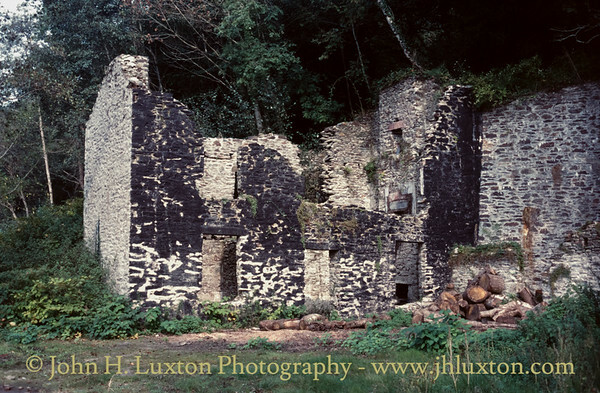 Located around one mile from the well-known Morwellham Quay, New Quay is a small once industrial abandoned hamlet and intensive mining port on the steep, winding banks of the River Tamar in Devon. 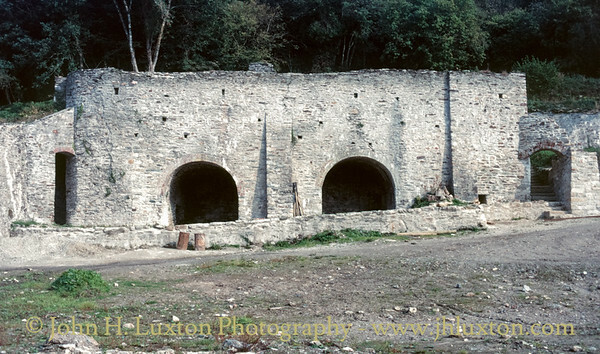 New Quay was formerly an important copper, tin and later arsenic port serving the local mines including the George and Charlotte Mine, Bedford Consolidated Mine and Gawton Arsenic Mine. 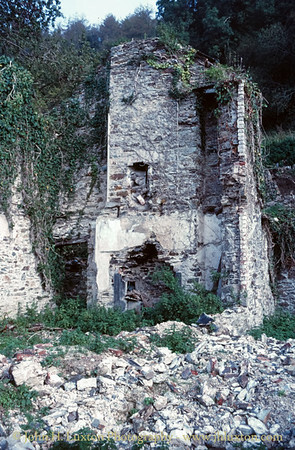 Since July 2006 New Quay is within the World Heritage Site that is the Cornwall and West Devon Mining Landscape. The village was abandoned in the early 20th century and became very overgrown with quite large trees. 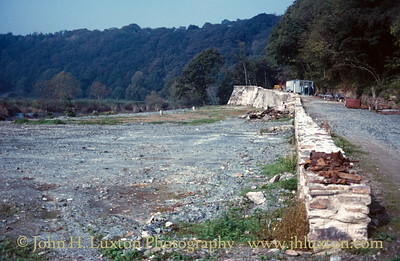 I first visited New Quay shortly before the Mine Tramway was constructed along the river side pathway from Morwellham Quay in the late 1970s. 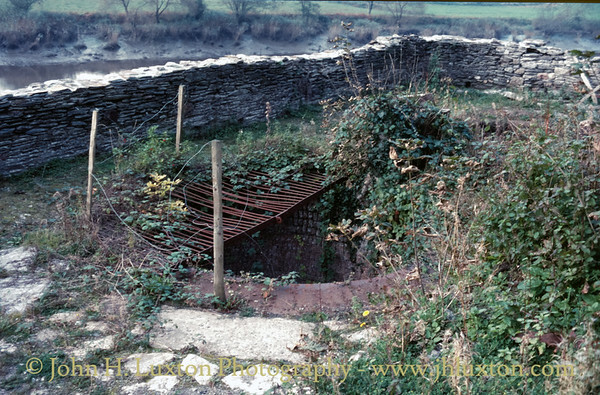 It was very difficult to make out most of the structures and I did not take any photographs. 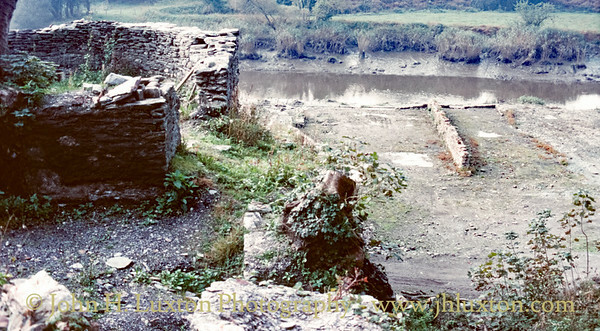 During 1984 / 1985 the vegetation was cleared to reveal the quite substantial quay and building remains, I paid a visit again in October 1985 to photograph the site. 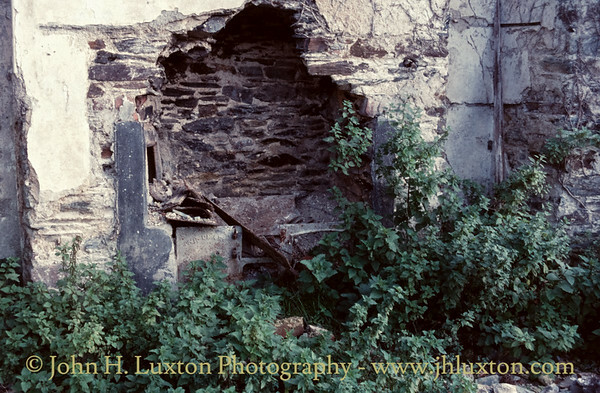 As yet I have not returned but reports indicate that in 2008 work was begun to halt New Quay's further decay: many of the buildings being stabilised and repaired and much of the undergrowth was cut back. View of Newquay from the road which leads down from the Morwellham - Gulworthy road. 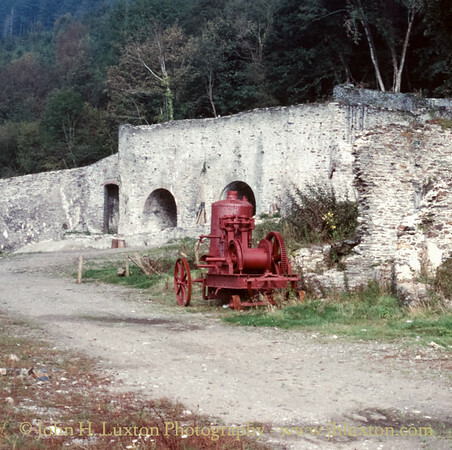 The large stone construction being the lime kilns and retaining wall. 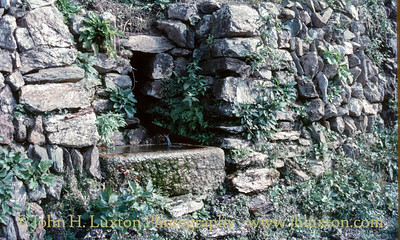 A stone water trough beside the approach road the entrance to the village is was still functional though the village was long abandoned when this photograph was taken. A view of the side of the incline plane which linked the quayside tramways to the top of the lime kilns. 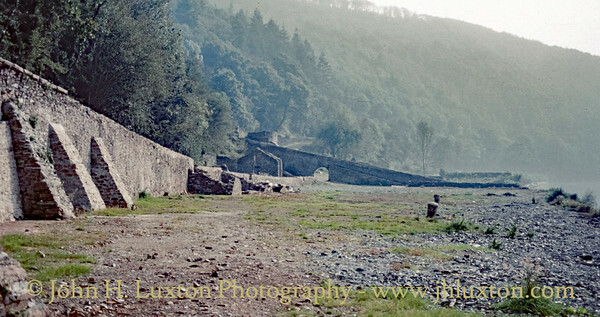 The lime kilns - on the left is the track of the inclined plane narrow gauge railway which provided access to the top of the kilns from the quayside. Inside the lime kilns small stalactites could be seen. 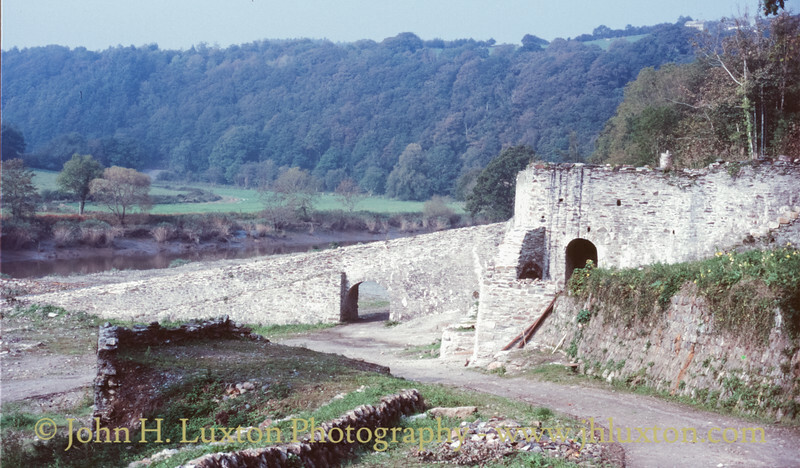 The top of the lime kilns looking up the Tamar Valley towards Morwellham Quay. The roots of one of the many large trees which grew on the site still clings to the masonry. 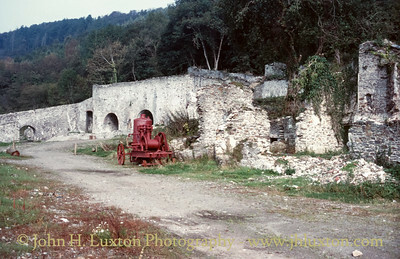 View looking down the incline plane which served the top of the lime kilns, winding house on the left. 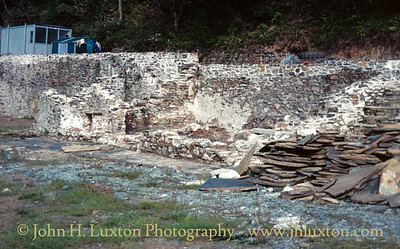 Remains of quayside buildings, believed to be North Quay Cottage. The portacabin belongs to George and Charlotte Mine at Morwellham Quay Museum. 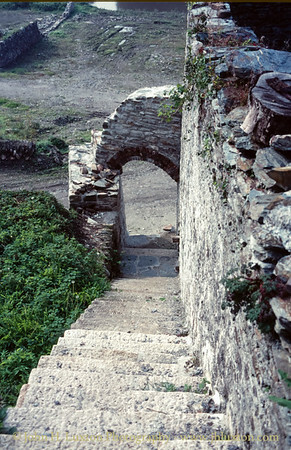 View towards the village access road from under the arch of the incline plane. The North Quay looking towards Morwellham. Granite ship mooring bollards similar to those to be seen at Morwellham can be seen in the distance. 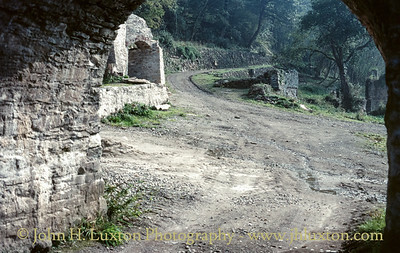 The road continues to George and Charlotte Mine which is part of the Morwellham Quay Museum. 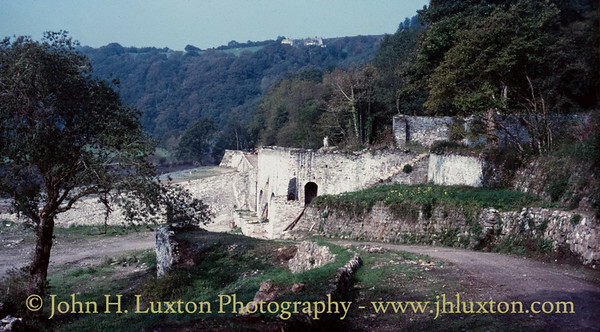 View across North Quay looking downstream towards Calstock. The incline plane can be clearly seen. 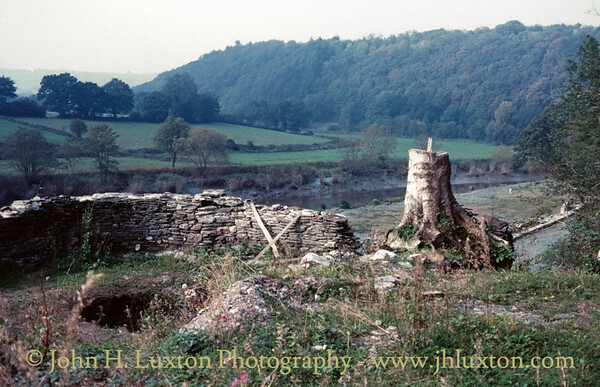 The remains of the New Quay Inn can be seen on the right, with the lime kilns in the back ground. The portable steam engine is believed to be an early 20th Century Robey which had been used in a china clay pit at St Austell. 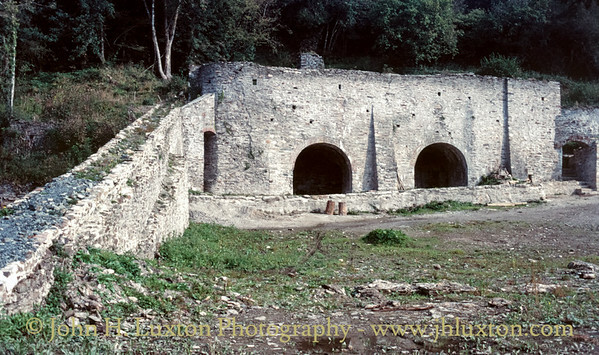 It is believed to be still on site and owned locally as a restoration project. This portable steam engine is believed to be an early 20th Century Robey which had been used in a china clay pit at St Austell. 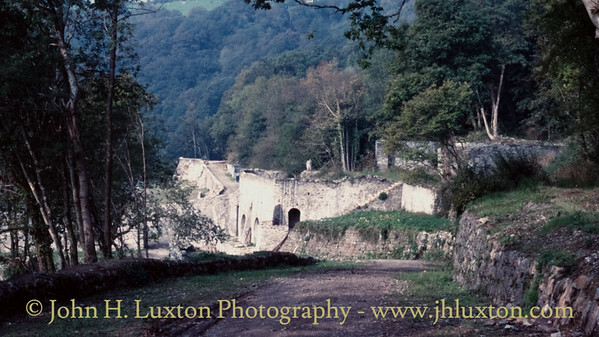 It is believed to be still on site and owned locally as a restoration project. 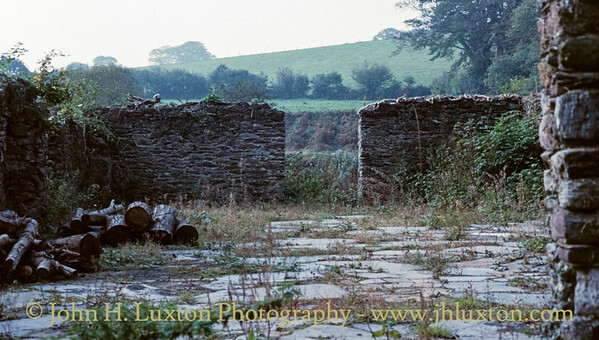 Remains of the New Quay inn which was quite a substantial structure. 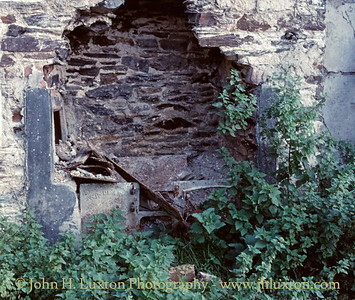 The remains of the stove cast by "J & ? PEARCE" at the New Quay Inn. 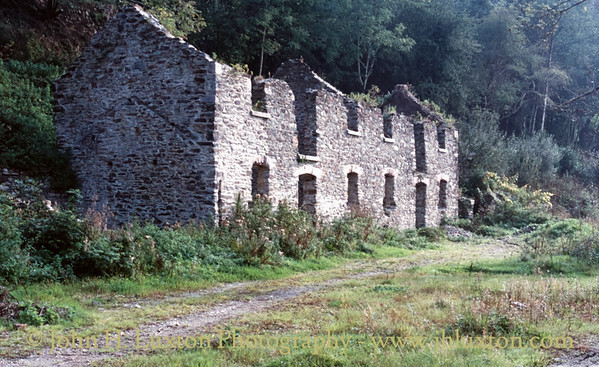 My catalogue of images indicates these to be terraced cottages but on reflection these buildings look more like warehouses. The larger opening perhaps giving access to the upper floor by hoist.